For most cyclists the normal drill for riding in bad weather is to pull a waterproof layer on top of the preferred combination of base layer and jersey. The art is then adjusting the underlying kit to balance the insulation of the rain jacket. 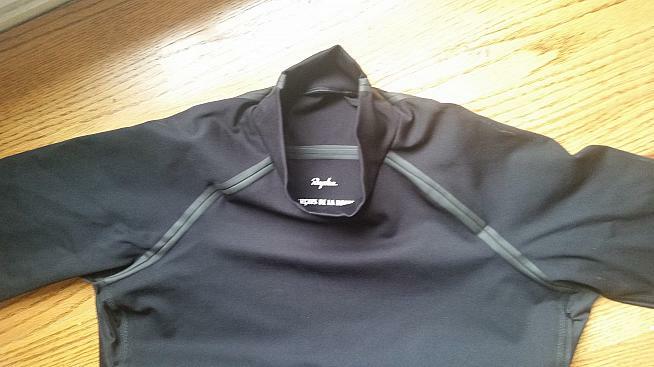 Rapha's Pro Team Softshell Base Layer turns this inside out placing the waterproof layer next to the skin. This means the flapping rain jacket can be dispensed with and it's just a question of pulling the right jersey for the temperature over the close-fitting and high-necked base layer. More on temperature later. In Rapha's rarefied world this is the perfect solution for racers who "need their team kit clearly visible" in even the foulest weathers. Obviously, this is not a problem for the 99% of us in the great mass of the unsponsored. That said, the Softshell Base Layer is a superb bit of kit for very specific circumstances. BUT, outside those circumstances it is not what you want - so don't bin the conventional base layers. The reason is that the same ability to repel outside water means far more is prevented from wicking away. Wearing the Softshell Base Layer on routine rides can be a sweaty and uncomfortable experience with any dawdling, let alone stops, followed by rapid cooling as the trapped moisture condenses. 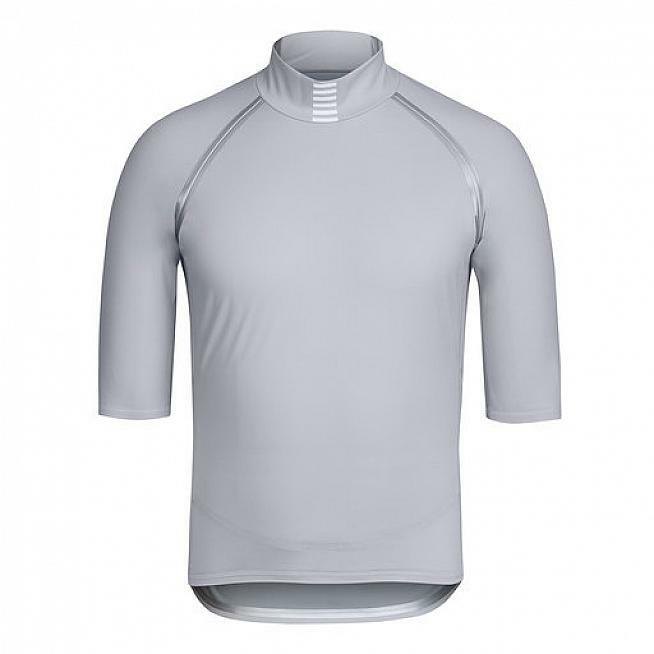 Where this Base Layer excels is at approximations of racing - the fast club run or the intense training ride - when conditions are poor. If you are going out to hammer it and know you will be changing or showering shortly after you finish then - BOOM - it is amazing. The Pro Team Softshell Base Layer has been treated with a water-repellant and has a high-stretch, 3-ply membrane for the front and rear panels with a lighter fabric under the arms. The seams are taped at critical points. The 3-ply membrane gives the protection and Rapha claims that the "pliability" of the fabric allows a great range of movement and comfort. To me, pulling on the base layer is a bit like getting into a wetsuit and this is the other compromise with the Softshell Base. I find it restrictive when on. Not overly so, but you certainly know you are wearing it. The length of the arms, which extend down towards the elbow, and the "race-ready tailoring" for a "better fit while in the drops" are noticeable, especially for those of us who can't grate lemons on our abs. It seems that Rapha might have picked up on this as an updated version has been introduced with a half zip for ventilation, and an altered cut and a lighter material under the arms for a more flexible fit. In the meantime, you can pick up the original in black or gray for $60 in Rapha's January sale (full price is $120). If you ride hard in the worst weather it will be worth it.